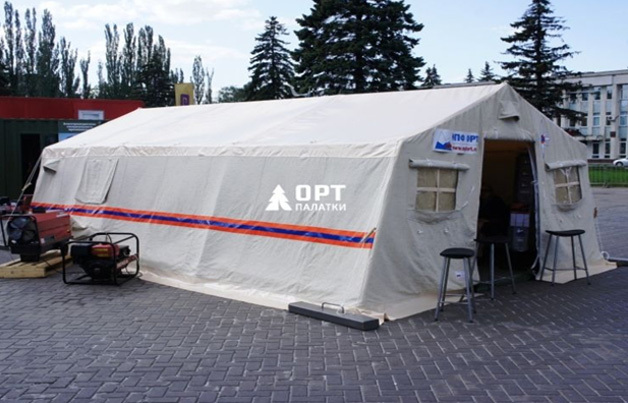 We provide skeleton tents of the ministry of emergency situations that are designed to accommodate people in the field. 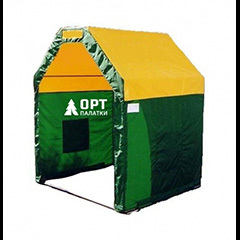 ORT is the emergency military tent suppliers and provides military winter tents such as Tent M-8. 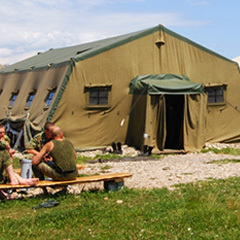 The tent of the Emergency Situations Ministry is designed to accommodate 8 people in the field. Inside there is a dwelling and a waterproof sanitary unit for the installation of a shower, a biotoilet and other equipment. 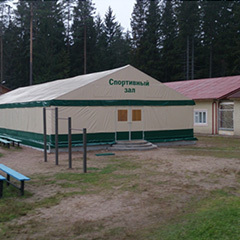 External awning combined, which allows you to combine the integrity of the roof and ventilating properties of canvas walls. 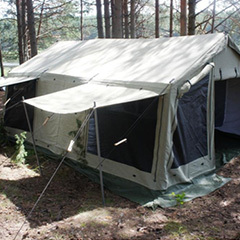 Sewed on the walls reduces the time of installation of the tent. The frame is steel, lightweight, from a pipe with a diameter of 40 mm. Heating can be carried out by a heat gun, which runs through the sleeve. The sleeve for the electric cable is provided. The windows are protected by nets, removable filling from plastic and curtains.